Review of 2012 Dodge Nitro Design - Drive Dodge - Drive Sport! If the appearance of Dodge Nitro could be compared to any other competitor model, then it will be the Jeep. Square front, same square side, the windshield that is pushed back, small windows and huge arches and wheels. Initially, it is all a bit confusing, as Nitro appeared to be more massive and much more “adult” model than in it is in reality. It seems that this model is a class above. Everything falls into place when couple of sedans will stand next to it, as you will see the real size of the car, and realize that it is not that big after all. In order to get inside special steps were mounted. Their reliability immediately begin to be doubtful, as the steps may sag or bend. Getting into the cabin in the summer seems like a piece of cake. But in the winter time the use of these steps is equal to zero. Feet with icy surfaces will slip, and if you wish to pass by them, will certainly get dirty. The sound of the 4.0-Liter engine is memorable, but with increasing speed of the motor the sound grows proportionally. The transmission seems to have its ‘voice’ also, it is not as loud as the motor, but it is still audible. And currently, it resembles a soundtrack and irregular movements. 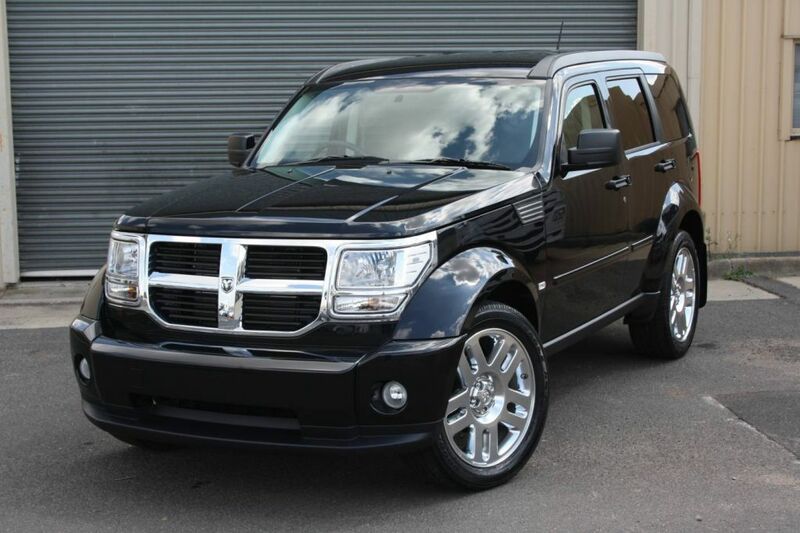 Dodge Nitro is looking awesome in black color. It gives the four vehicle a dashing look. It is a class above as compare to jeep and car. Thanks!